Interior ministry spokesman Khalifa Chibani told local radio that 49 police officers were wounded during clashes across the country and that 206 “troublemakers” were arrested overnight. Unrest was also reported in the working-class neighbourhoods of Djebel Lahmer and Zahrouni on the outskirts of Tunis, the central cities of Gafsa and Kasserine, and the northern town of Jedaida. A representative of Tunisia’s Jewish community said two Molotov cocktails were thrown at the entrance to two Talmudic schools on the Mediterranean island of Djerba, but their interiors were not damaged. They have called for the revision of the 2018 Finance Act behind the VAT and social contribution hikes, as well as better welfare for struggling families. 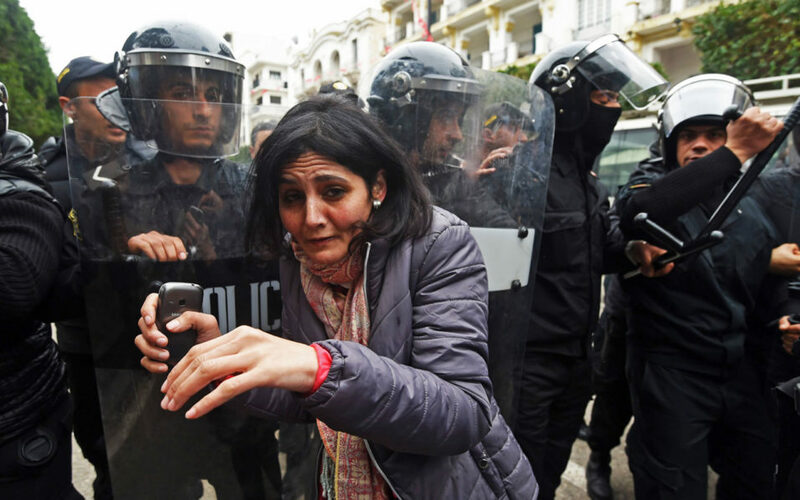 The powerful UGTT trade union said young unemployed Tunisians had legitimate demands but condemned the “violence and looting”, calling for peaceful protests. Tunisia’s economy has struggled since the 2011 revolution, which was fuelled by unemployment and graft. The revolution in Tunisia began in the town in December 2010 after street vendor Mohamed Bouazizi set himself on fire and later died in a protest over unemployment and police harassment that spiralled into Ben Ali’s overthrow.